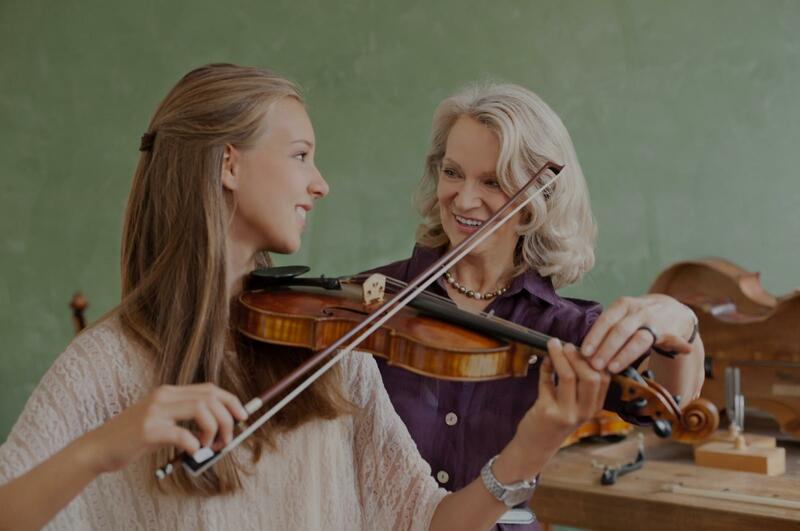 Litchfield Park, AZ Violin Lessons Near Me | Fun Classes. Top Tutors. Can't find a teacher in Litchfield Park, AZ? ially, but after spending a few of them with Panagiota, I knew I wanted to continue to be her student. Her patience, understanding, humor, and knowledge is unmatched in any other music teacher I've had. She listens to her students and adjusts her lessons accordingly. She is a fantastic teacher, and I sincerely recommend her to any string student." Phoenix, AZ teacher: Panagiota K.
"Wonderful first lesson. My daughter is very excited to attend the next one." Phoenix, AZ teacher: Carolyn B.
t with my daughter, knows how to motivate her and make each lesson (and homework) fun, and continues to look for ways to help her improve. I would recommend Dr. Kalantzi for anyone new to violin as well as for more seasoned musicians." "Overall a great instructor. She has helped me become a better player over time and helped me overcome the things I have struggled on. Magnificent teacher!" s interest and opinion on Alysia's teaching. She is friendly, kind and knowledgeable. We will go again when we plan him to continue violin learning." Phoenix, AZ teacher: Alysia R.
"An excellent teacher for my 7year old daughter. Very patient, on time, and engaging. An excellent teacher and mentor." Phoenix, AZ teacher: Brianna L.
and a very positive approach." Phoenix, AZ teacher: Cathy W.
"He is a great teacher. Explains everything and has me keep trying until I do it correctly." Phoenix, AZ teacher: Victor Q.
s on the first lesson thanks to Cathy. She also thought me the proper position to hold the violin. I'm very excited to continue my four lessons with her and I couldn't choose a better instructor than her. You can see her passion for teaching violin. I highly recommend her, especially for beginner students." Explore the exciting world of education through gamification. See how and why it works on kids and adults for improved retention, knowledge, and more in this guest post from our friends at JoyTunes... How many students have been scolded by parents to put their video game away and get their homework done? Its been a common household quarrel for decades, but kids across the globe are finally celebrating the new data that supports gamification as a means of advanced education and learning.